Hello, and welcome back to the Expert Resurfacing blog. In our last post, we began looking at the differences between bathtub resurfacing and replacing a bathtub. 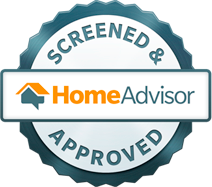 While there are advantages to both, a bathtub replacement often comes with hidden fees which include having to pay for demolition, removal, and disposal of the original tub, and having to dish out fees to repair surface and plumbing damages that may occur during the demolition and removal processes. Additionally, bathtub resurfacing is much less complicated than replacing a bathtub. Let’s compare these bathtub upgrades so that you can make the best choice for your bathroom improvement project. Completely replacing a bathtub is a complicated, costly, and time-consuming process. A bathtub replacement can take days or even weeks. For those homeowners attempting to replace a bathtub without the assistance of a professional, they may not have access to professional tools and probably don’t have the years of experience necessary for such an undertaking. In some cases, a plumber, drywaller, or even an electrician may need to get involved, which means a tub owner could be without their bathtub for several days. With a bathtub resurfacing from our team, homeowners can get a magnificent, like-new tub much quicker, and can use the bathtub within four hours of applying our specially-formulated, eco-friendly coating product. Some people might think that installing a brand new bathtub means the product will last longer, but this is simply not the case. In fact, the coating system we have formulated to refinish bathtubs in Virginia Beach homes is designed to provide decades of lasting protection and durability. 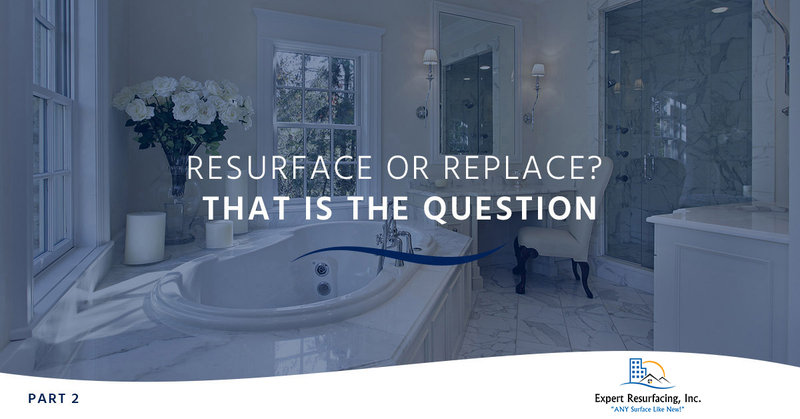 Homeowners who get a bathtub resurfacing with us gain peace of mind in knowing their resurfaced bathtub could last just as long as a new one—upwards of 20 years. This is especially true when a resurfaced tub is maintained and cared for. Check back to our blog to read an upcoming post on how to care for a resurfaced bathtub. While a bathtub replacement may be the right choice for some, a bathtub resurfacing is an affordable, effective way to improve the appearance, cleanliness, and functionality of any bathtub. Not only do we clean and remove dirt, grime, and stains from an existing bathtub, we apply a specially-formulated coating that completely transforms any bathtub to look and feel shiny and new. For those looking to upgrade a bathtub in their Virginia Beach home, call in the professionals who have the skill, experience, and equipment to revamp an existing tub in the most affordable and efficient manner. Call Expert Resurfacing, Virginia Beach’s Top Rated Local® resurfacing company, to enhance your tub’s appearance and cleanliness.